To help you change your attitude and behavior in disciplining your child, Shift your perspective of discipline from punishment to guidance..it will help you focus your energy to model the kind of behavior you want for your child and help you turn your child’s NO to yes and off to ON. Use this mnemonic (group of letters) to help you: GUIDE, 5 simple steps. Get in sync with your child, pay attention to the cues that s/he is starting to have trouble so that you can avert a problem before it happens. Use the stop, look, and listen method to discern what may be causing the aggressivity, or defiance. Is your child hungry, tired, stressed, having difficulty with transitions, in daycare or school? Identify, intervene, invert: use your cognitive skills to determine what is contributing to your child’s defiant and negative behavior – then you can determine the best way to respond to teach your child about societal rules while helping develop inner strength, empowerment, and security. Discipline: use discernment, logical and natural consequences to help your child regain internal control…focus on developing a link between behavior and consequences so that your child can develop an internal locus of control rather than an external boundary. Remember if you can’t control your behavior and have to hit out of anger then you are actually modeling reactivity, aggressivity and a lack of inner control. Energy release: especially with aggressive and hyperactive children, children need to have a way to release energy rather than hit, act-out or hurt others out of reactivity. There has been a lot of research regarding the effects of disciplining children with physical punishment and spanking. These studies have been conducted since 1990 and have consistently indicated negative results for this style of discipline especially an increase in aggressive and antisocial behavior on the part of the spanked child, (Durrant & Ensom, 2012). Proponents of spanking as a form of discipline argue against this relationship indicating that the children who need to be spanked or physically punished are already more aggressive and so this explains the connection between increased aggression in children who are spanked. This recent study in the Canadian Medical Association Journal spanning over twenty years controlled for this issue precisely and addressed the issue of causality. The study followed children who were physically punished as a form of discipline and children who were not. In my blog, https://instinctivehealthmedicine.com/2014/03/13/social-policy-unintended-consequences-and-how-wolves-create-rivers/ I discuss several important social policy issues that have resulted in unintended consequences and that bias is one of the biggest deterrents to getting it right when creating social policy. Bias is difficult to see because it creates a blind spot for the gazer. Social policy planners have bias, the question is always: is their bias right or is it missing an important detail? A more useful application of the sociological information about power and community is to create a space wherein the participant can sort through the answer though mindfulness and critical thinking. deduction rather than just come up with the answer the professor determines true, in a Sherlock Holmsian style of clarity and mindfulness would allow for continued consciousness elevation for the entire community of human beings, and ultimately the planet. When you are looking at a social issue use a multi-layer lens. This is to say, look at it from the perspective of what has created the problem…there will be underlying sociological archetypes that are driving the situation. Usually it will require you make serious efforts to understand your own bias, the driver of your bias, and the competing paradigms underlying the social issue. These competing paradigms are usually a conflict between group and individual rights and a change in the societal mores and norms that are shifting. The Indian Child Welfare Act (1978) was originally set in place in response to several things, the high incidence of children leaving the reservations and being raised in non-Indian homes which led to a high incidence of depression and suicide as the children reached adolescence (far greater than those children adopted who were from non-indian families). This appeared to be a cultural issue as well as a psychosocial developmental issue. In addition, there was concern from the Native American community that the Native American culture was being decimated by the loss of their children to carry it onward. There were problems in dealing with how a child was identified as Indian, in that various tribes had differentpercentages of Native blood or connection to a tribal roll as ways to identify a being as Native American. As time went on it also became an issue if the child had never been a part of the Native Community (1982) especially if the parents had not actually lived in the Native Community in their own upbringing. However, the intended consequences were met positively, due to this act the incidence of suicide by Native American children in early adolescence decreased dramatically, and far more Native American children were endowed with their cultural heritage. Let’s look at a specific social issue in the news now. Ray Rice and the video exposing, his domestic violent interaction with his wife. Both parties say this is a one time event. Yet the reaction from the community has been to lightly or barely condemn Mr. Rice. Why is this: what are the underlying social issues in play? Mrs. Rice did not want the video to be in the public eye and does not want to address the violence. There are individuals who blame Mrs. Rice for remaining with him. There are individuals who say it is a private issue not a social policy issue. Additionally, he reports that it was a result of his drinking. And there are individuals who diminish this as domestic violence because she attacked him first. First off, what I see is that from a familial and cultural perspective, his fame and the money he can make for his team (and family) outweighs the reaction of disgust for his behavior. This is a cost/benefit ratio response from the family and team. They are not looking at the social ramifications of dismissing it as important or how that kind of inattention leads to increased violence and solidifies the acceptance of violence. He was drinking: so it’s not his fault. The alcohol changed his behavior and made him act the way he did. She attacked him first: so it’s not his fault. Or another take on it is if she is going to hit him she elevates her position and therefore has to take being hit back. Or it was an automatic reaction on his part that he could not stop, due to his training as an aggressive football player. These two positions are supported by the community within which he lives. Drinking frees one to act in an uninhibited way without having to take any consequences. This belief is further supported by the fact that alcoholism is actually a medical problem — but it is a social problem too. Any substance that changes your brain can have a positive or negative effect. Physical fighting has been on the rise between adolescent girls and young women…it is seen in movies, made into a spectator event – think professional fighter Ayla Ali, which shifts the onus of responsibility away from the man to not be provoked when hit by a woman. There is inconsistency of thought regarding whether to protect and care for women and children in the culture at this time. That is why this has become such a hot issue with such divergent responses, reactions. This is a power issue. Men have lost some of their power in the community through the increase in power given to women, to compete for the same positions men hold, to get higher education and to choose to not depend on men. With the disintegration of gender roles it can feel to men as if women are getting everything and men nothing. Even women are not consistent in their behavior and thinking in this regard. This is a tipping point for our culture, whether to actually protect women (and children). How to create a consistency of thought regarding healthy relationships, whether to actually discipline inappropriate behavior, and how to educate people about conscious relationships that are not based in a power-over mentality. …and then this is the part that I saw which bothered me the most and most clearly belied any of the kind attributions toward Mr Rice…just after he dragged his fiance out of the elevator, while she was unconscious, lying helpless on the floor he kicked his foot at her leg, kicking her leg… this act of kicking an unconscious person is the act of a coward, a bully; he was no longer protecting himself –his kicking an unconscious person as if she were garbage showed his true hateful nature. This indicates the worst form of domestic violence, the kind that derives from a deep lack of caring for another human being. Not one media commentator has identified this. I did see it and from my perspective this is a view into his true psyche and inner perspective of the world. It gives a view into his inner nature or inner consciousness. This action is not from the alcohol. This is not a function of self-defense. This is not a result of losing control of his temper and reacting automatically. This is cold, uncaring, with a lack of empathy or compassionate connection to the person he just kicked. This is a violent action within a domestic relationship. Educating individuals about the importance of managing power in relationship is a first step. Destigmatizing the way that power gets expressed while simultaneously challenging beliefs that support power-over structures would be the first step toward changing the cultural reinforcement of domestic violence. Ray Rice is heralded in a positive light for his aggression on the football field. The cold, uncaring, aggressive, warrior focus that created his success is exactly what is driving the violent action in his relationship. Applying mindfulness to how you address his action will help to define a way that will align the concerns of the community and his identified desire to change his behavior. A social policy that does not take into account the multi-layer aspects of social behavior, the intersection of a person’s sociological Fabric of group connections, personal experiences, and location in time will create unintended consequences. On the face of it, his behavior is violent and needs to be called out, the crisis for the community is HOW to respond to uplevel the conversation to elevate our compassionate, conscious interaction with each other in society. This is especially true since society is telegraphing acceptable behaviors to youth. The etiology of domestic violence is in childhood. What the person observes in the relationships of his or her caregivers as well as what happens to him/her. Does s/he experience compassion, or heartlessness? Is the definition of discipline punishment or critical, conscious education of natural and logical consequences, so that s/he can develop a sense of inner strength, resilience, and overall understanding of personal and cultural reponsibility? In this way domestic violence is driven by earlier experiences of child abuse and neglect. Social policy must start in a consolidated, comprehensive way in both the adult relationship and parenting discipline communities because without changing both, BOTH will continue. They may take on different terms, harassment, abuse, bullying etc. These are all forms of the misuse and misunderstanding of power in relationships. Let us start here and now with these young men in the news who area struggling with the negative effects of their heritage and what they have perceived as valuable in their childhood experiences. You may participate in seminars to learn these techniques through the bethgineris website. 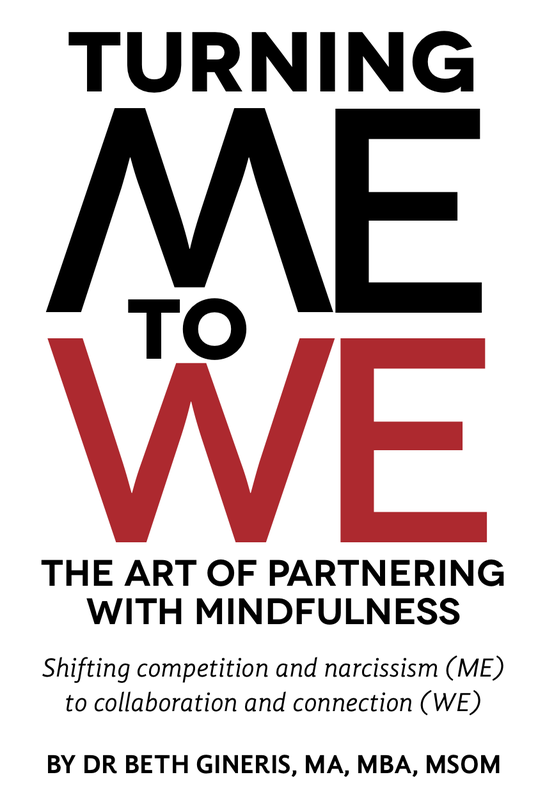 Beth’s groundbreaking book Turning Me to WE: The Art of Partnering with Mindfulness(2013), has some great tools about Temperament style and your personal style of partnering, as well as the insecurity Drivers MAAPS.front cover.me2we Discover where you are in the Temperament and the MAAPS section. 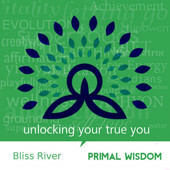 You can see how you see the world, and whether you have an attachment that is creating problems in your relationships. MAAPS will help you to discern your insecurities and understand how and what underlies how you developed your insecurity driver (Money, Achievement, Attachment, Power, Structure). 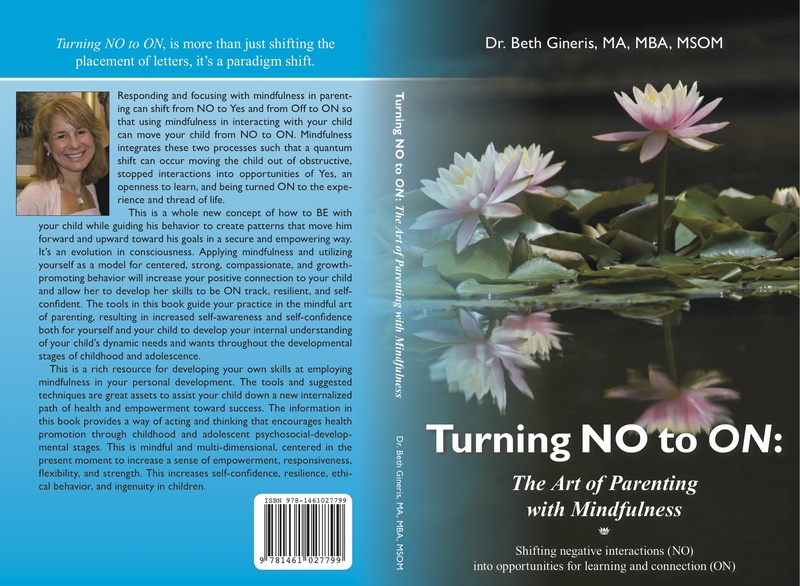 You can find ways to simply connect to yourself in a loving forgiving way through theTurning No to ON: The Art of Parenting with Mindfulness Book (2011). beth’s book No to ON. Categories: Balance of Spirit Mind and Body category, consciousness development, Mindfulness living category, spiritual development | Tags: domestic violence, evolution of consciousness, healthy relationships, non-violent discipline techniques, power versus empowerment, Ray Rice | Permalink. This is a facebook post from William Khaziri of Bliss River. He and David Khaziri are two truly amazing beings who have taken it upon themselves to offer to anyone interested in listening, ways to uplevel consciousness. All the podcasts are available for download. I invite you to listen to these for your own edification and consciousness elevation. Categories: Balance of Spirit Mind and Body category, consciousness development, Mindfulness living category, social change through energetic upleveling, spiritual development | Tags: attitude of gratitude, balance of spirit mind and body, Beth, Bliss river, consciousness development, David Khaziri, Elevation of conscousness, God, itunes, mind-body-spirit connection, mindfulness, social change through energetic upleveling, upleveling, upleveling consciousness, William Khaziri | Permalink.